Hudsons is famous for there burgers, chili poppers and milk shakes. There is a Hudsons in Green Point, Claremont and Kloof Road . The Claremont one is where I found myself often on a week day night catching up on gossip with my nearest and dearest. Hudsons in Claremont is full of students especially Monday to Friday 16:30- 18:30 where they run there half price specials- half price cocktails (which are great) and all the starters are half price. The starters include their famous chili poppers- which are actually called porky poppers- but they do the regular ones to- but who says no to bacon? The starter menu also includes chicken wings, crumbed mushrooms, ribs and Popeye’s cigars which are calzone rolls filled with spinach and cream cheese. Hudsons is great, they run a fantastic special, the staff are always lovely and friendly and its always busy. Hudsons makes for a fun casual night out. When the weather is nice- it’s perfect to sit outside at the bench tables under the big umbrellas and watch the world go by. After being persuaded to try the milkshakes – I am now a converted far. We ordered the chocolate brownie and bar one milkshakes. They come in huge goblets filled to the top! Way more milkshake than we realised! And at R30 a milkshake it wasn’t a bad price. My chocolate brownie milkshake came served with a huge chunk of brownie and lots of little brownie pieces mixed in. Really delicious- top notch milkshake. However the bar one milkshake was the winner. The porky poppers are always a great choice. Jalapenos filled with cheese wrapped in bacon and batter and served with a blue cheese kind of dip. You get 3 huge poppers for R23 during the half price special! One thing about the Hudsons poppers- they are really hot- I have to order water with them and my eyes stream and my lips are on fire. But so goooood- I can deal with the consequences. But saying this- sometimes they are not eye streaming hot? So you never really know how hot they will arrive- but be warned they have serious heat potential. And the smoky bacon just works wonderfully with the crispy batter and melted cheese. The porky poppers are served with blue cheese sauce- which I find a little over-powering and takes from the wonderful flavour combination already going on. I have since got wise and started ordering them with garlic mayo which is normally served with the chicken strips. These are the crumbed chicken strips served with roasted garlic mayo for R14.50 during the special. This is the garlic mayo I order for my porky poppers because it worked wonderfully with them. The chicken strips are tasty and crunchy. Really delicious and a perfect snack with a beer. 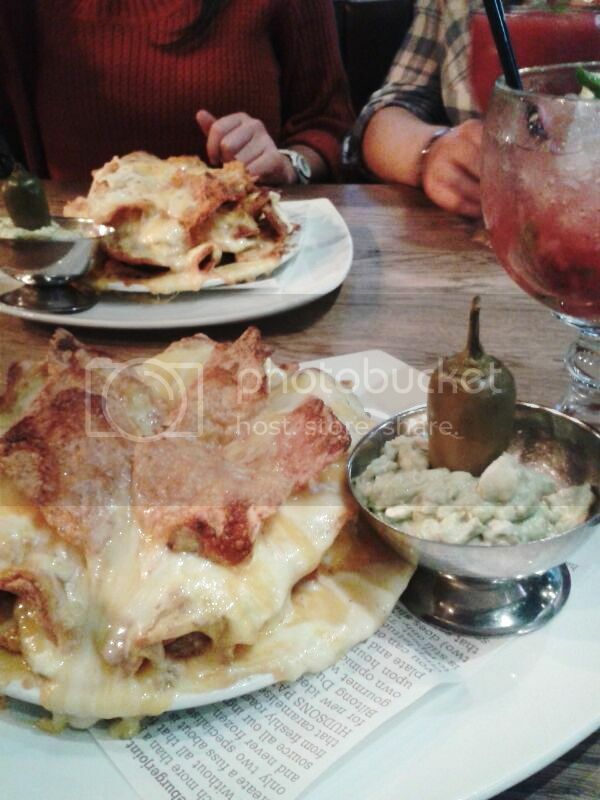 A new update to the menu are the nachos – which are amazing! They use to have the most pitiful excuse for nachos in the form of a few doritos on a plate. But these new nachos are phenomenal! A giant plate of cheesy cheesy nacho with a huge bowl of guacamole! They are my new go to order- especially with the berry mojito. A new favourite are the Popey e’s cigars which are these calzone like things but in a cigar shape filled with spinach and feta and served with sweet chilli sauce for only R15. Absolutely delicious and really filling! And on to my efforts through the cocktail list! The mojitos at R21 during happy hour are fantastic. Super fresh and minty and perfect to cool down in the summer. Not pictured due to my shock at the taste was the moonshine which was terrible and tasted like some very strange ginger beer! I think Hudson’s makes the best strawberry daiquiris- which is quite of s tatement. Banana Jam makes a good strawberry daiquiri at a pretty good price BUT their daiquiri is a little icy where as Hudson’s seems to be creamy as well as frozen- more of a milkshake texture than a slushy texture. The daiquiri is normally R38 but on special it is a wonderful R19! 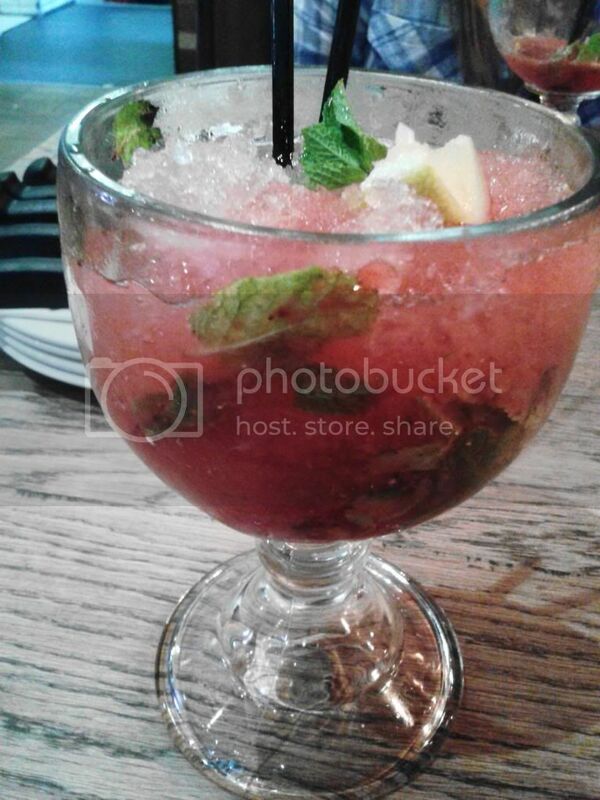 The berry mojito pictured below is a new addition to the menu and absolutely brilliant. Super fresh and sweet mojito- delicious!